Organizational change is strategic: Someone, somewhere has made a decision to change things in order to realize benefits. That person has a vision of what the changed organization will look like; and invests in projects to deliver products that enable the benefits to be realized. So, when the project has delivered the agreed-upon scope, the benefits will be realized–right? Without buy-in from the people in the organization that are impacted by the changes brought about by the project, the product the team has worked so hard to deliver may not be adopted. In this case, the benefits won’t be realized; and, while the project may have succeeded in delivering its deliverables, the initiative it supports will have failed. Buy-in from the people on the receiving end of changes is critical. Which brings us to Crazy Dancing Guy, an enlightening study in social behavior used by many business schools (I learned of it while studying change management at York University’s Schulich School of Business). You can find the Crazy Dancing Guy video here. At the beginning of this article I mentioned someone, somewhere has made a decision to change things in order to realize benefits. 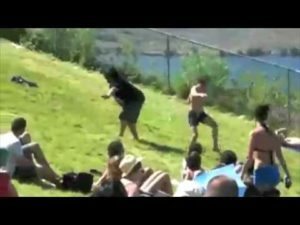 That person is Crazy Dancing Guy. That person needs the critical early adopters that will help make the change stick. #1: The first follower is critical: “There is no movement without the first follower”. Review your stakeholder list to identify the first follower/adopter. This person should be an informally-respected, strong individual (“It takes guts to be the first follower.”). Make this person part of the project team as soon as possible. #2: Second followers are also critical: “Three’s a crowd; and a crowd is news.” Good candidates include experienced members of teams that are most-likely to be impacted by the changes. These people are the 2-way link between the project team and the front line. #3: Encourage and support early adopters and followers with change communications campaigns. Okay, this is not in the video; but early adopters have a much greater chance of success if they have an underlying change campaign that supports them. While a “How to” guide is beyond the scope of this article, a good starting point is Prosci’s ADKAR approach. Projects are not successful when their products are delivered; they are successful when those products are consumed and the related benefits are achieved. This can’t happen without a change management strategy that includes those impacted up front. Just ask Crazy Dancing Guy.